The German online retailer “MediaMarkt” has made a mistake and listed an item named “Assassin’s Creed Compilation” as available for pre-order. 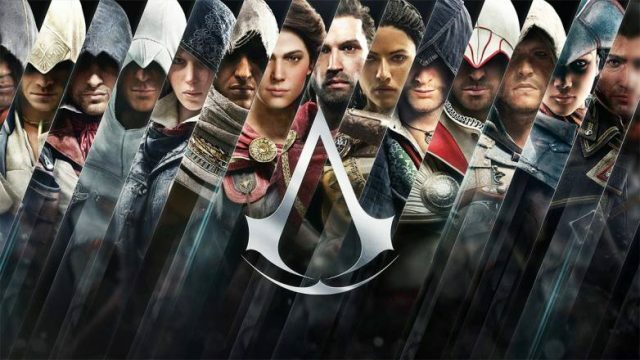 The listing shows that the Assassin’s Creed Compilation is scheduled to launch on March 29th, 2019 and that it will be available for PlayStation 4, Xbox One and Nintendo Switch. This might be a big mistake from “MediaMarkt”, but it’s good news for Assassin’s Creed fans. First off, we should note that the Assassin’s Creed Compilation has yet to be listed on more popular online retailers such as Amazon. Therefore, there is a small chance that the Compilation is not going to arrive on March 29th, 2019. Nonetheless, the great thing about Assassin’s Creed Compilation is that it will be available for all gaming consoles. This is the first time that Nintendo Switch fans will get access to Assassin’s Creed games and to make things even better, a bunch of these games are coming at the same time. Assassin’s Creed Odyssey can be played on Nintendo Switch right now, but only through a special streaming service that is available only in Japan. Therefore, this will be the first time that Western Nintendo Switch audiences get a chance to play an Assassin’s Creed title. The issue here is that we don’t know how many Assassin’s Creed games the Compilation will include. The latest one which is Odyssey is surely going to be included, but what about the former titles such as Origins and Black Flag? Let’s hope that Ubisoft decides to release a statement and makes this information public now that the Compilation has been leaked. On another note, Ubisoft has announced that the first DLC (downloadable content) for Assassin’s Creed Odyssey is going to launch tomorrow (December 4th).